Beautifully designed with the playfulness of a home, Green Park Resort offers spacious rooms at pocket-friendly prices with decor that meets the mood of Punjab. The uniquely designed rooms with a mix of wooden furnishing come with a view of lush green lawn. Vibrant wallpaper, warm curtains, and linen are matched with subtle lighting ensuring a cozy stay. Various other facilities include free WiFi, geyser, and laundry service. Guests can find a lot of restaurants near the hotel, which makes the stay even more convenient. 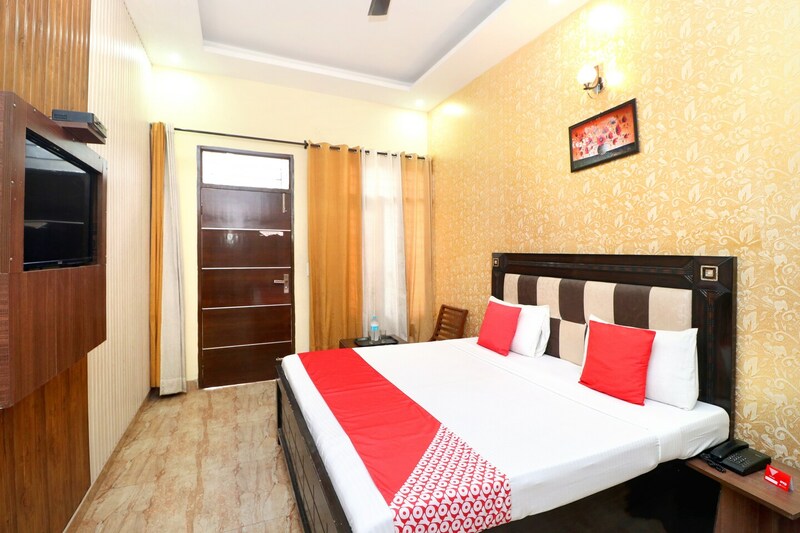 Near to Zirakpur bus station and Chandigarh railway junction, the hotel is conveniently close for outstation travelers.